It easy for makers, creators, and builders to shut themselves up in their workshop hours on end to get their design just right. Working in solitude can help get the job done, but sometimes you want to get feedback from others. Whether you’re looking for feedback, advice, or inspiration, sometimes you need to get someone else in your work area in order to be more productive. Now, there’s a new website that allows you do this without crowding up said work-space and it’s name is Orchard. Just a smattering of the designs you can browse and edit on Orchard. You can also build your own design portfolio to store and share your designs with friends or others on the site. It also lets you comment and like designs as a way of collaborating with others almost like a social media site for makers. All of this is done via your web browser and is completely free to use. The website is clean and simple to use. 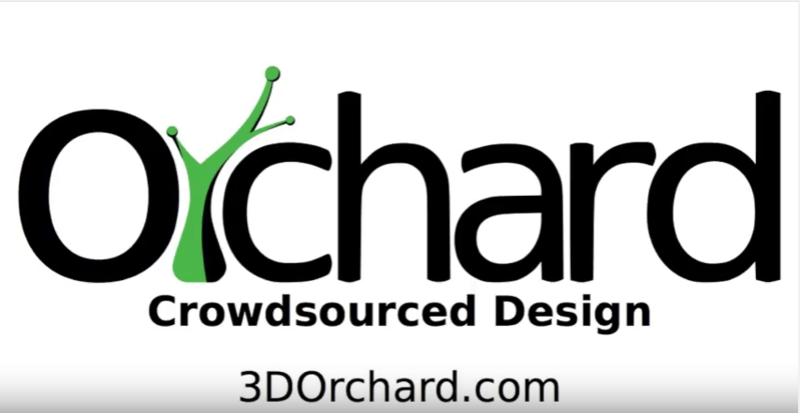 You can easily browse previously created 3D models, edit them, and have them printed through 3D Orchard’s printing service. 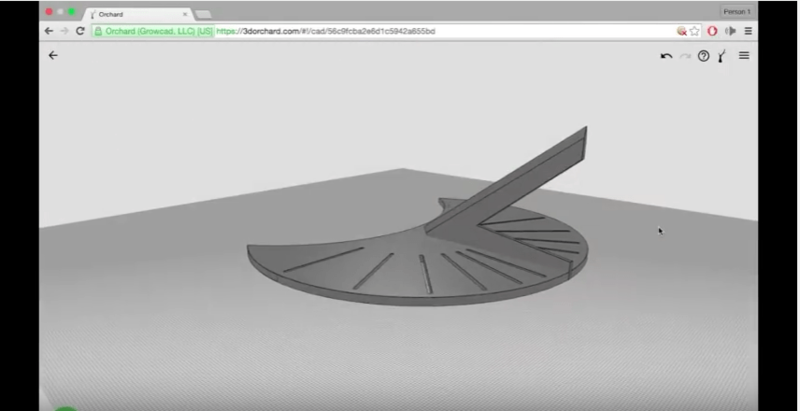 You also have the option to download the model and make it yourself, if you have the means. The site is built to handle a wide range of designs from simple to complex. Instead of using a block-based system, the modeling tools use a constraint-based 2D sketching system, which gives you more freedom when creating models. Some of the tools available at your disposal include fillet, chamfer, extrude, revolve, and loft. And if you don’t want share your designs with others, you can opt for a privacy feature, which costs $7 a month. 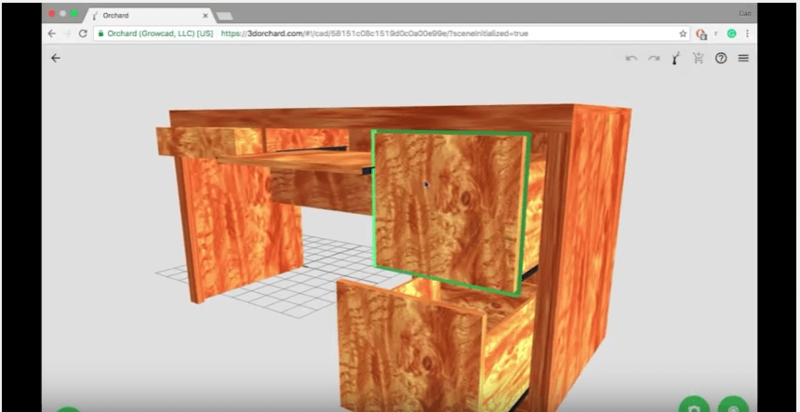 The site is updated on a regular basis as the latest version, 2.0, adds the option to include textures and 360-degree backgrounds to your model. Currently, the number of textures and backgrounds are limited, but there are plans to add more over time. 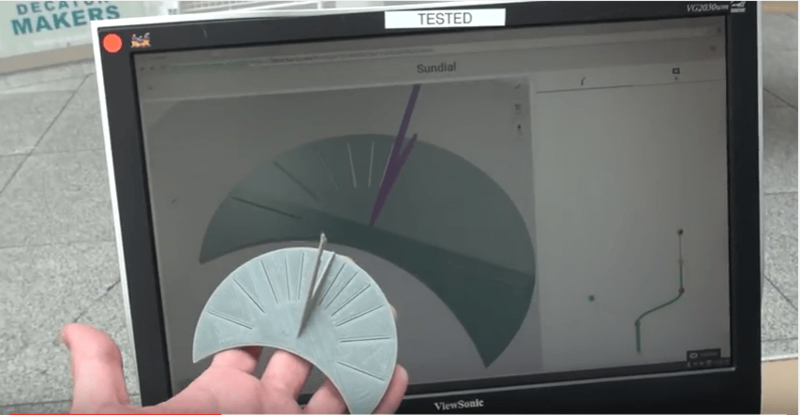 These tools are ideal for making your model more realistic, which is something Orchard wants to drive home. And if you need to brush up on your skills, Orchard offers learning videos and live chat support. Orchard lets you add textures to your models for a more realistic look. 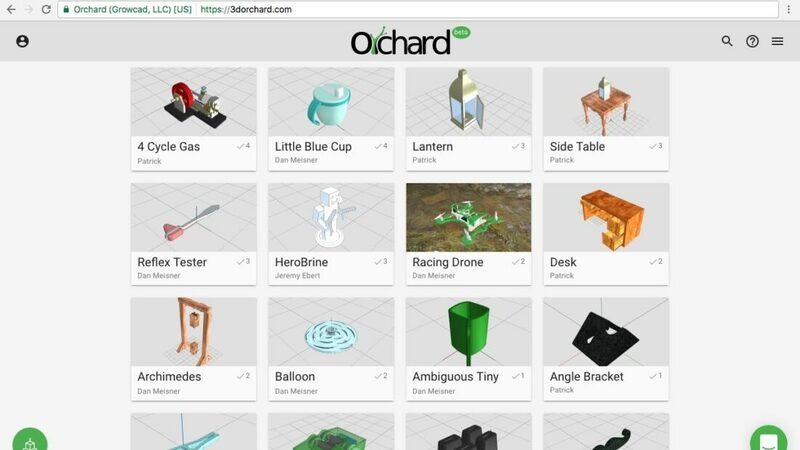 3D Orchard not only wants to make their tools accessible, they want to create a strong maker community as well. They want to encourage makers, builders, and designers from all over the world to be a part of what they’re calling its “crowdsource movement.” While some people may still prefer to work on their craft alone, others may relish in sharing and working on other people’s designs. It could spark your creative juices to see what someone across the world has created and you can learn how others approach their models. Most importantly, it allows people from all over to share what they know about building and design, whether you know nothing or just need to brush up on your technique. It’s entirely free to check out, so at least you don’t lose anything if it’s not what you’re looking for.